A very large crowd attended a gala function in the Claregalway Hotel recently for the County Galway Heritage Awards 2009 presentations. There was much delight amongst the members of the Ballinasloe Active Retirement Association when it was announced that they had received an award for second place in the Ballinasloe Electoral area. A sincere “thank you” to Brendan Smith of N.U.I.G who guided, encouraged and patiently taught us that we could be part of an important cultural heritage as we had lived through an era, in the thirties and forties, where social, cultural values and lifestyles were vastly different from life to-day. It was a stimulating and rewarding experience. Ballinasloe Active Retirement Association have taken to the sport of Kings like ducks to water! Last Bank Holiday Monday, Oct 26th a group of 37 nag-lovers boarded Fahy’s bus and headed for Ballybrit. It was their second venture to the Galway October race meeting. On arrival at the comfortable Killanin stand we were served a delicious meal . Having received our Race cards, we settled down to the serious business of studying form. Following much perusal and consultation, we made our choice for the first race. Some of us admitted to total ignorance of form or pedigree, while others (in the know) spoke knowledgeably about form and past performance. They explained the concept of place bets, each ways, double ,treble and reverse bets. By the time the uneducated amongst us were half way through the race card, we were au-fait with the merits of Ruby and Nina Mullins, Meade and Swan – experts all !! Two euro each way netted fabulous wins of €2.40 and in one case 40 cents ! I don’t know if any one came home much richer, but we enjoyed the experience of racing corporate style and had a great day out. Thrill seekers on the Costa Brava !!! We were like a group of boarders from school on a day out, complete with sun hats, suntan lotion and the odd bottle of water. We spent four hours looking down at the beaches emerging from the clear blue waters of the Mediterranean and learning about the cultural and ancient history of the local towns. It was even scarier than the Ring of Kerry! As we looked down thousands of feet with nothing between us and deep blue sea there were several prayers silently and loudly said especially from Chris who sat in the back seat with her back to the great “fall”.Dougie and Liam captured the scary sight on video. Anyway, we all got back safely to “Terra Firma” still holding our breaths and delighted with our day out. We thought Jimmy Lyons was joking when he suggested we should go to Roses for our annual sun holiday abroad. We always associated Roses as beautiful flowers one received on a birthday or anniversary (if you were so lucky!) Little did we know that there was also a beautiful little town called “Roses” tucked away on the Costa Brava in north eastern Spain. The Victoria Hotel was situated in a perfect location on a beautiful beach. The place lived up to all our expectations. The glorious sunny days were filled by long walks on the prom, trips to various places of interest by boat, bus or the local Roses express train and the inevitable shopping for that something “different” . The sea was perfect for swimming .Even those who previously feared the water, ventured in. Aching limbs were soon forgotten as the group of us splashed away in the warm waters of the Mediterranean. After dinner, we danced under the balmy night sky. We were very saddened when we got the news that Sheila hadn’t survived her operation and had passed away. Our hearts went out to her beloved husband, Jimmy. In little clusters, we cried and talked, questioned and reminisced about the good times and the many lovely trips we shared down through the years. We hoped we would be home in time to say our good-byes and so we were. It was a sad home-coming. Sheila will be fondly remembered by us all in the Active Retirement group. May she rest in peace. its formation in 2002. Since then, I’ve had the privilege of working closely with her and got to know her as a good friend and colleague. We have worked together on the Social Committee of B.A.R.A. for the past three years and I would like to pay tribute to her hard work, dedication, organisation and input into that Committee. She was focused, level headed and always ready to lend a helping hand .Her constant smile and good humour will always be remembered. We travelled that road together into the age of technology as we struggled with e-mails and Skype etc. at our computer classes. However, I had the advantage of broadband in town and it hadn’t yet arrived in Belfield, so Sheila, determined not to be left behind ,came to practice in my house. (not without the pot of home-made jam or brown scone!) I do hope Sheila they have Broadband in Heaven! We also enjoyed working together on the Heritage Project under the guidance of Brendan Smith, D.E.R.I’s outreach officer in Galway. Sheila was one of the first to record her story about her childhood days in her beloved Kerry. It was one of a series of pod cast stories of pre-1950’s Ireland under the title of “Fado Fado” and is now available on D.V.D. Over the years, we planned and organised many trips and outings both at home and away (making sure it didn’t interfere with her sporting interests). It was with a great sense of sadness that we learned of her death while we were on one such trip to Roses in Spain, (which she had helped to organise) in Sept. ‘09. We were glad she waited for us to come home to give us the opportunity to say our sad farewells. We will miss your sense of fun, your hospitality, your company and in particular, your smile. On behalf of the Social Committee, I extend our deepest sympathy to your beloved husband, Jimmy, who is also our Chairman, and to your lovely family. Association's Video Documentary "What Will We Do In The Autumn?" Copies of the Galway Arts Council-funded video documentary "What Will We Do In The Autumn?" produced by the Ballinasloe Active Retirement Association in 2004 are still available for members. In 2004 the Galway Film Centre ran an advertisement looking for suitable projects under it’s I.D. umbrella, and funding would be available. Somebody in the Local Employment Centre spotted the ad and rang Jimmy Crehan about it. The idea was brought up at our next meeting. Chris felt strongly that we had a story to tell, and a message to give. When we replied to the ad, Nuala Broderick, the Galway Film Centre’s Project Co-coordinator, got in touch with us. She arranged a meeting between a delegation from Ballinasloe A.R.A., the Galway City Arts Offices, the Co. Arts Officer, the Galway Film Centre Manager, and herself. To our surprise and delight, our project was accepted and deemed worthy of funding from the Arts Council of Ireland and from Galway Co. Co. Nuala sent Paddy O’Connor, the project mentor, to work with us in Ballinasloe. Paddy asked us about our Organisation, and threw out ideas as to what would be suitable for a D.V.D. When he realised we didn’t have a video camera, he advised us to get one. When the camera arrived, Chris took charge of it. After that, no matter what the group did, the camera came out! We were filmed at our Activity Classes, on our trips at home and abroad, at the St. Patrick’s Day and October parades, and there’s even a picture of a travel-weary group on a hot day in Barcelona, sitting on “bollards”!, licking ice-creams, while waiting for the bus. Paddy O’Connor travelled with us to Derry, and was very pleased with our video footage. Under Paddy’s expert, but low-key, tutelage, some individual interviews were done, to let others know what involvement in the A.R.A meant to each member. Paddy showed us how to set up props, how to use microphones, and how to take full advantage of light. All this took several weeks. Eventually, we had about eight hours of footage. Then the tedious work had to be done. That eight hours had to be edited down to approx ,twenty minutes. Nobody enjoyed that but, but we all learned so much under Paddy’s expert guidance. We felt privileged to have had the chance to be involved in the whole project. 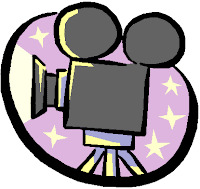 Out Documentary was entitled “What will we do in the Autumn”. We were invited to the Art’s Theatre in Galway, where our video, and those of other projects accepted, were shown. 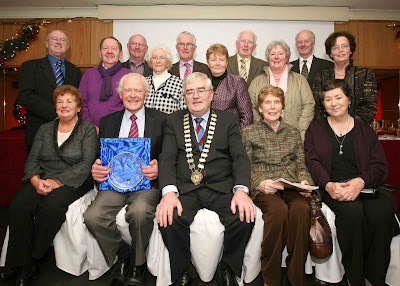 Later still, our own D.V.D was officially launched on the 14th October, 2004 in Hayden’s Hotel, Ballinasloe by the Co. Galway Mayor, Councillor Willie Bourke, and Ballinasloe Mayor, Councillor Sean Tully. Our mission was finally accomplished! In conclusion, I want to say a big “thank you” to the Arts Council of Ireland and Galway Co. Council; to Nuala Broderick and Paddy O’Connor from Galway Film Centre, and to our own Christina O’Flynn and Jimmy Crehan. They all brought us through what was, for us, unchartered waters, and we enjoyed every minute of the journey. Rath De oraibh uile, agus go mba fada buan sibh. 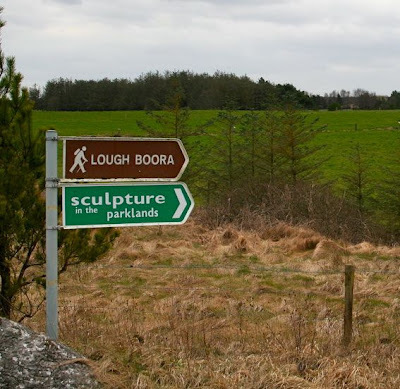 The Ballinasloe Active Retirement Walkers Group recently visited the beautiful bogs, wetlands, lakes and fields of the Lough Boora Parklands in county Offaly. Welcome back from your summer break! The Social committee are pleased to report that all our summer day trips were a big success and enjoyed by one and all. In spite of our very wet summer, the weather was very kind to us on our day trips to Aran and Clonmacnoise/Athlone. However,we could only view the Cliffs of Moher through a dark cloud of mist and rain. We have worked very hard throughout the summer and we now unveil more exciting plans for your Autumn diary. 16th – 25th Sept.09– 63 members are now looking forward to their sunshine holiday in “Roses”. 2 buses leave the Square at 2.30 a.m.on the 16th Sept. Cost: €15 each. to be paid please before you go! Oct 26th. 09 – Horse racing in Galway( Corporate style ) – more details later. 9th –Christmas Party in the Burlington Hotel featuring Dickie Rock. Cost: €65 inc. Christmas dinner. 10th _ “Hooley night in Johnny fox’s Pub in Glencullen in the Dublin mountains. Cost: €45 including 4 course meal and entertainment. Total cost of Hotel accommodation,Bus transfer,and two shows for 2 nighs is only €225 sharing or €250 Single. Friday Jan 8th 2010 – Active Retirement Christmas Dinner/Dance in Gullanes Hotel. Please note : As these events need to be booked and paid for well in advance, we need names as soon as possible with €50 deposit for the Dublin trip and €25 deposit for the Galway Races in October. As usual, we meet in the Shearwater Hotel every Wednesday at 3 p.m.and in the Gael scoil first Wednesday of every month. It was one of the founding principles of the Association that we would cover all aspects of member's lives including social, physical, health, educational and leisure issues. So as part of this remit, we host a series of health lectures on interesting topics. The first seminar was on the subject on How to Recognise and Cope with Depression. 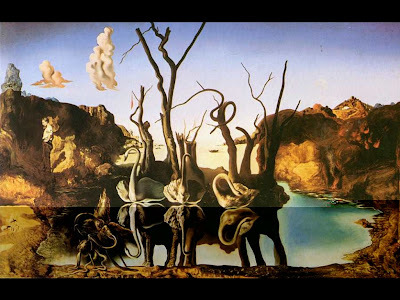 Click here to read about the content of this talk given by Dr Margaret O’Grady, the newly appointed Consultant Psychiatrist for the Western Health Board. 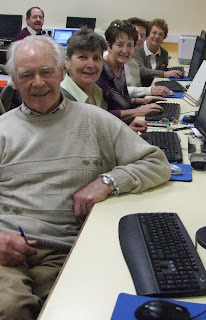 Members of the Ballinasloe Active Retirement Association have many activities from which to choose. One of these is a Book Club which caters for the”Book Worms” in the group. The Book Club meets in the Library on the second Tuesday of the month at 4 p.m. The Librarian takes a list of books which members request and tries to get them for the following month. We each take a book or two which we read and discuss at the next meeting. The club members have varying tastes . Authors and book titles are suggested which many of us would not normally read. All members have an input, and all our tastes are catered for. It is an enjoyable and light-hearted meeting. No one is under pressure to read a book if it does not interest them. The Library staff are helpful and pleasant. As well as books, they provide us with tea and biscuits at our meetings. We enjoy our chats and love the social aspect of the club. We welcome new members and invite anyone who is interested in joining us to come to our next meeting on Sept. 8th at 4 p.m.
24th June ’09 dawned bright and sunny with clear blue skies. It looked like the perfect day for our day trip to Inishmore, the largest of the Aran Isalands. An impressive 63 members of the Ballinasloe Active Retirement Association had booked for this trip which was, for a large number of them, their first visit to Aran. We then had a few hours to explore this beautiful island which is famous for it’s unique way of life. Age old traditions co-exist comfortably with modern living. Some of our members availed of the waiting tour buses to take them on a tour of the island and more went for long walks. The more energetic people hired bicycles and visited Dun Aonghas, one of most dramatic stone forts in Western Europe. 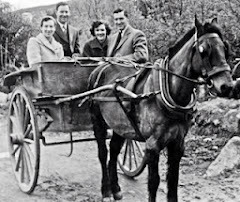 The trips on the horse and trap brought back many happy memories of bye gone days. There were a few who were happy to sit , chat, relax and soak up the wonderful peace and beauty of Aran. It was with reluctance we joined the homeward – bound travellers in the evening. Suntanned, happy and relaxed we enjoyed another lovely sea journey back to Ros-A- Mhil. We arrived home safely in Ballinasloe feeling grateful for what one can only describe as “A Perfect Day”. It is widely accepted that Aqua aerobics is an excellent way to improve your cardiovascular and respiratory systems without placing stress on the joints. It’s a fun and easy to exercise, strengthen and tone muscles. Aqua aerobics are for people of all ages with all sorts of health conditions. So if one wonders why so many members of the Ballinasloe Active Retirement get in shape and stay that way, the answer lies in the Monday and Thursday afternoon sessions in the local Leisure Centre. Under the watchful eye of Barry, our patient instructor, up to 50 people jog, bend and weave to the strains of “the Fields of Athenry” etc. The Aqua aerobics exercise routines are fun to do and the motivational music keeps you going. It has also become a great social occasion as you follow up with a session in the steam room or sauna Then there is always time for the welcome cup of tea and chat. To keep in shape and healthy come along and join the gang in the Leisure Centre on Monday and Thursday afternoons 2 – 3 p.m.
On June 3rd. 2009 our members met for our last meeting of the summer. A short meeting was held. The winners of the photo comp. 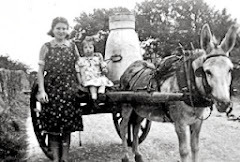 were Chris O’Flynn - (Photo entitled A lady on an old fashioned bicycle) & Kaye Killeen - (Photo entitled Two horses feeding from one bucket). Congrats to both. All photos were excellent. Anne Keary wrote a super report on our trip to Prague. All members brought plates of food, the tables were laid with plates, napkins etc. everything looked good. The “Midnight Melody” band were setting up and members were all eager to start the dancing so we wound the meeting down, the music started & the toes started tapping, everyone enjoyed themselves & danced the afternoon away. Whilst eating their party food, the team of volunteers came to collect our blankets & teddies etc. knitted by our members for the orphans in Chernobyl. They gave an account of their work refurbishing play rooms, fitting out kitchens & bathrooms for the orphans. Wonderful work – God Bless them. In Sept.2005, a small group of singers came together to establish a creative arts activity as part of Ballinasloe Active Retirement Association. BARA singers continue to contribute to their community by singing in local nursing homes and hospitals. They performed in a Western Region Showcase of Active Retirement Activities in Mayo in 2007 to a very appreciative audience. 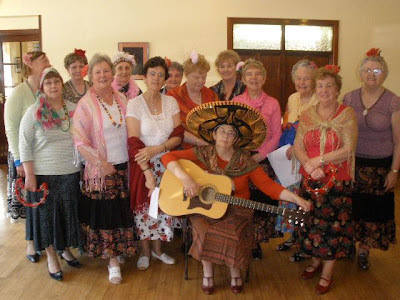 In 2009,they participated in a local charity concert entitled “A tribute to Ballinasloe Musicals” They performed , dressed in appropriate Mexican regalia, and much to the delight of the huge audience, their very own version of “Viva Mexico”! BARA welcomes all singers at all times. They meet in the Family Centre, Ballinasloe on Thursday mornings 10.30 – 12.30. Under the direction of the very talented Marie Power, they continue to develop new repertoire, popular and classical. Each session includes fun vocal warm ups, learning new songs and performing known repertoire. It’s a wonderful enjoyable experience. Following a very successful and enjoyable four day trip to the beautiful city of Prague, we now look forward to our Summer day trips before we head off to “Roses” in Spain for our 10 day Autumn holiday. We leave on the 9 oc. train to Galway , followed by shuttle bus and boat to Inishmore. Lunch is booked in the Pier House on the Island for 1 pm at a cost of €14 (at your own expense) There is an optional bus tour of the island available at a cost of €10. Home : 9.45 train Galway/Ballinasloe. 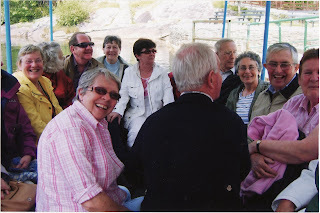 Wed 22nd July ’09 – Shannonbridge/Clonmacnoise/Athlone Castle. ( Cost €40 ) Subsidised. Bus leaves the square 10.30 am.for Shannonbridge. 11 oc. 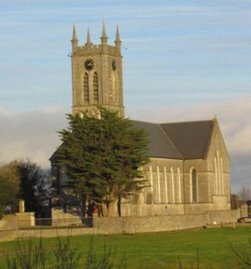 Enjoy a Shannon Cruise –S/bridge to Clonmacnoise where there is a guided tour arranged for 12.30 p.m.
After a light lunch we continue by bus to Athlone . To bring an end to a perfect day, we enjoy a Summer Bar-B-Q in the Radisson Hotel,Athlone overlooking the lordly Shannon at 5.30 p.m.
Wed. 16th Sept. 09 - Travel to Roses. Final payment to be paid to Keller travel by 1st July next. We will continue to meet for a “cuppa” and a chat on Wednesdays in the Shearwater Hotel. Our love of Theatre in the Ballinasloe Active Retirement Association has brought us on many wonderful outings. We particularly enjoy our trips to the Abbey Theatre in Dublin, where the performances are always outstanding. Oscar Wilde’s “The Importance of Being Earnest” was one such trip. We attended this famous play last year and found it clever, witty and light-hearted. We recently travelled to the Abbey again to see “The Three Sisters” by Chekhov, as adapted by Brian Friel. This is quite a thought-provoking play that explores some of the social and political issues in nineteenth century Russia. As always, the quality of the acting, the costumes and the superb sets really enhanced our enjoyment of the play. We particularly enjoyed discussing our varied responses to the play afterwards. Our love of Theatre has also taken us to plays staged in Athlone, Birr and the Town Hall Theatre in Galway. Other well-known plays we have attended were, “Stones in His Pockets”, “A Month in the Country” and “Dancing at Lughnasa”, to name but a few. Our next outing will again be to Dublin’s Abbey Theatre in September to see another Oscar Wilde play entitled “An Ideal Husband”. This play features a strong cast of twenty-one, so it’s not to be missed. One of my favourites of course,was the comedy “The Shraughraun”. It was full of intrigue and good humour. We feel really privileged to be able to attend these excellent performances. It is so inspiring to witness the professionalism of the actors and actresses and we never fail to be amazed by their talent and discipline. Their wonderful performances compel us to return again and again. Every Monday morning, come sunshine hail rain or snow the knitting circle meet in Gullanes hotel @ 10.30am and spend 1 ½ enjoyable hours knitting blankets and teddies for the orphan children in Belarus. Our 15 members enjoy it so much with many topics of conversation, and of course tea coffee and biscuits. At our summer party in June, 12 blankets and teddies were presented to Brendan Fallon, who said some kind words of thanks and appreciation to the knitters, he also told us about their work in Belarus, they are truly wonderful people. At our Christmas party in December we will present them with more blankets and teddies, so we better get those knitting needles clicking. 47 members of the Ballinasloe Active Retirement Association recently enjoyed a wonderful three day break in the beautiful city of Prague. They went on long guided walks through the cobblestoned streets taking in all the principal sights. It was an interactive history lesson in which the buildings, monuments, streets and personalities of Prague told the caDoing the Polka in Pragueptivating story of a city through time. Exhausted from the heat, they attended a lunchtime concert in the cool of the enchanting Prague Castle. Food for the mind and soul, it was a wonderful experience. The figures on the Astronomical Clock performed their hourly rituals as the group sipped their lattes and enjoyed the local delicacies i.e. apple strudel in a nearby cafe. It was then on to the Child of Prague Church and the iconic Charles Bridge offering majestic city views. The highlight of the trip was a Dinner/Cruise By night on the river Vltava. It was a fun-filled night with music, song and dance. A fantastic fireworks display added to the magic of the evening. Ann danced the Czech polka with a tall handsome young local man. Gradually the entire got into the swing of things and a great night was had by all. On the final day, the group toured the countryside and visited a magnificent showroom displaying precious stones, jewellery and crystal . However, the smaller souvenir shops were more suited to their pockets! With aching muscles, they touched down on Irish soil tired but happy. All members feel grateful that the Active Retirement Association provided them with the opportunity to travel and continue to enjoy life as a group. Ballinasloe Active Retirement goes to Europe! Douglas Rafter and Jane Tracy attending a seminar on “Volunteering of the Older Persons and the role of Public Policies” in Brussels. This seminar was part of programme being developed by Marian Harkin. M.E.P. Marian is co-founder and co-President of the Parliament Interest Group on Volunteering. Marian Harkin along with four other MEPs from Germany, Greece,Poland and Portugal launched a Written Declaration calling on the European Commision to announce 2011 as the European Year on Volunteering. The European Year of Volunteering will compliment and provide a structured link to 2012 as the European Year on Active Aging and Intergenerational Solidarity. Experience the Joys of Social Walking! Walking has long been recognised as the healthiest and most efficient method of exercise that humans can indulge in. During these dark days of belt-tightening and fiscal rectitude we can also add “excellent value for money”! The Ballinasloe Active Retirement Walking and Exercise Club have been enjoying walking and physical exercises now for up to two years. Each Tuesday at 10.30 sharp they gather at venues in and around Ballinasloe and spend 30 – 40 minutes in enjoyable walking followed by light stretching and joint exercises. Under the watchful eye of coordinator, Jimmy Lyons, and led by two trained instructors, the sessions have proved to be enjoyable and beneficial to all concerned. They conclude with a well earned tea/coffee, biscuits and chat. The sessions form a healthy as well as an important social occasion. Padraig Pearse’s Club in Woodmount generously allow us the use of their complex and walking track free of charge for which we are very grateful. We also visit many other walking sites throughout the year. As our motto in the Association is “stay active,stay healthy” come along and join us at 10.30 a.m. on Tuesday mornings. You will enjoy the experience! Ballinasloe Active Retirement Holds its 7th AGM! There was a very large attendance at the seventh A.G.M of the Ballinasloe Active Retirement Association which was held in the Gael Scoil on Wednesday January 21st 2009. The outgoing Chairman, Jimmy Crehan (photo on left) , in his address, stated the importance of health and social aspects, of making new friendships , helping each other and generally improving the quality of life. The Secretary, Margaret McDonnell, reported on the year’s many activities. 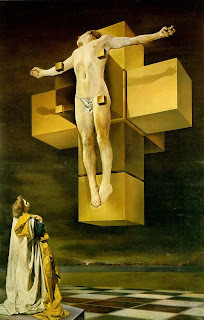 She further thanked Fr. McInerney, the Gael Scoil and particularly our Chairman for all his work for the association since it was formed in 2002. 2008- An Action Packed Year! Chris O’Flynn, Secretary of the Social Committee gave a comprehensive account of an action-packed year which included day trips, holidays, horse-racing and Theatre outings. The highlight of the year was a glorious Mediterranean Cruise which left 54 members with many happy memories of their visits to far away places. She said there were lots of exciting events in the pipeline for the year ahead. Committee members: Sean Carrig, Bridie Loughman, Mary Fallon, Una O’Reilly, Celia McCafferty, Nicholas Power.